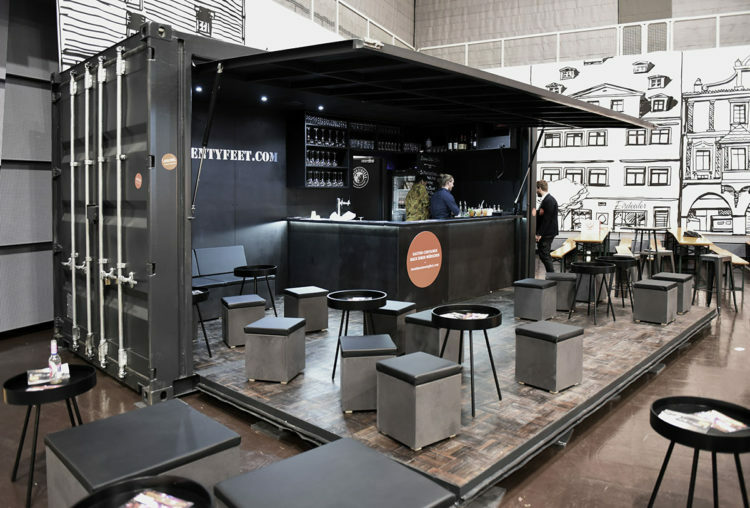 The 20ft BAR CONTAINER “BLACK EDITION” was presented at the “Street Food Convention” in Nuremberg. The prototype container has two electric winch operated flaps, with the upper functioning as a sheltering eve and the much larger lower one unfolding into a generous deck area where visitors can enjoy classy cocktails and snacks. The fully equipped bar includes a beverage dispenser with integrated cooling, an ice machine, and further refrigeration appliances, alongside integrated storage space and a special tap for draught beer, making it the perfect “plug and play” container.